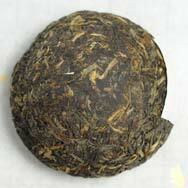 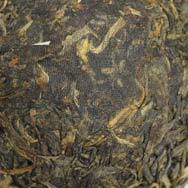 This bowl-shaped tea cake is made using tea leaves picked from Yunnan province's famous mountains. 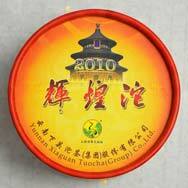 It is a special grade tea, specially made for Ling Nan Xuan Tea Company by using traditional processing method before it was tightly compressed and stored in individual round containers. 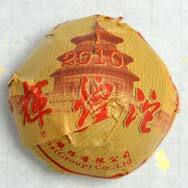 The container protects the tea from humidity and helps regulate the temperature in order to provide a stable environment for aging.